Whether you’re trying to justify attending New England’s premier digital marketing conference to yourself or to your boss, we’ve got you covered. In this article we’ll break down the 17 reasons why you should attend this year’s Agents of Change Digital Marketing Conference. 1. You owe it to yourself for your professional growth. This is the reason we attend conferences in the first place. We need to get out of the office and out of our comfort zone. We need to meet new people, hear new ideas, and have new experiences so that we can grow. 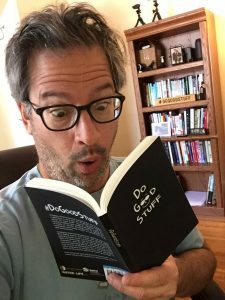 Sure, you can read blog posts, listen to podcasts, and watch webinars until the cows come home, but sometimes you need to get out of your comfy chair so that your brain is ready for new input. Agents of Change allows you to do just that. From the opening keynote from live video expert Joel Comm to the closing keynote from storytelling expert Tamsen Webster, we’ve filled the day with digital marketing experts presenting their best strategies and tactics with you. Rich Brooks, Jenn Herman, Josh Stanton, and Nancy Harhut, are just a few of the presenters who will educate, entertain, and inform on the latest tactics for reaching more of your ideal customers. Check out the growing list of digital marketing experts speaking this year. This year we really focused on covering new topics that will help drive your business in the coming years. Want to master live video? Done. Want to target your customers with mobile ads while (and after) they shop your competitor’s store? Done. Want to sell on Amazon? Done. Be sure to check out the full agenda for the conference. A valuable conference is more than just the sum of its presentations. There are plenty of breaks during the day where you’ll get to meet and mingle with other marketers, entrepreneurs, and business professionals looking to make the right connections. In fact, the day ends with a great networking event where we supply the pizza, beer, and specialty themed cocktails! We’re trying something new this year! We’ll be setting up “Expert Booths” during the breaks so you can get your questions answered on topics like e-commerce, advertising, and branding from experts in the field. While attending a session on a topic is helpful, these booths will allow you to drill down and get your specific questions answered. 6. You won’t miss a single session. What’s nice about having breakout sessions is you don’t have to attend sessions that aren’t appropriate for you. What’s terrible about breakouts is that you always seem to miss something you really wanted to see because it competed with another session you just had to attend! Well, that doesn’t happen at AOC. We do a video recording of every single session and make them available on demand after the conference. You can watch any and all sessions you missed, or rewatch the session you attended to get the absolute most out of it. Not only that, you get access to the videos for an entire year! At no additional cost. Which is like, unheard of. These are professionally recorded videos that are edited to include both the speaker and the slides. That’s right: a full conference and three squares. We’ve got you covered for breakfast, lunch, and all you can eat pizza at the networking event to close the day. And this isn’t some cheap pizza, either. This is Otto pizza, quite possibly the world’s greatest pizza. In addition to that, we’ve got delicious snacks and coffee throughout the day to keep you going, growing, and learning. 8. It’s easy to get here. If you’re driving, the Abromson Center on the USM campus is right off the highway. If you’re flying, the event is a 10 minute cab, Uber, or Lyft ride from the airport. If you’re swimming…well, there’s public transportation from the docks to the event. But take Douglas Adams’s advice and bring your own towel. 9. It’s easy to stay home. 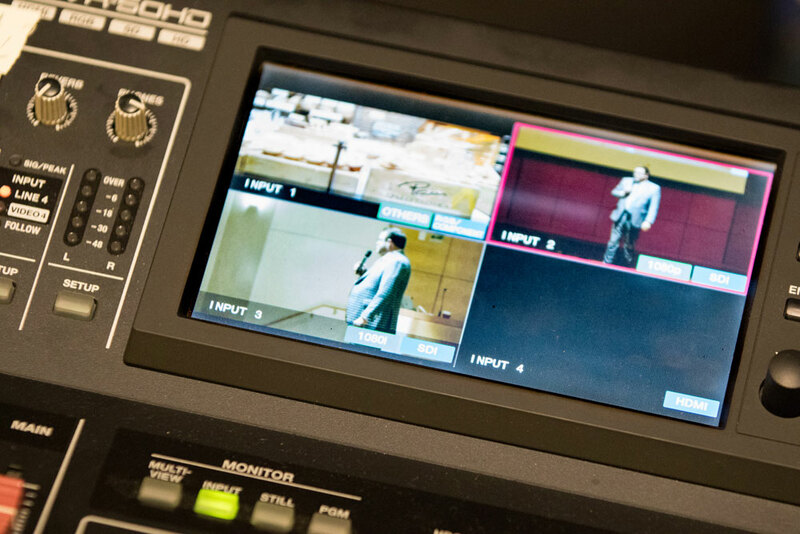 We don’t just record the sessions for on demand viewing, we provide a live feed of everything that takes place on the main stage, including all three keynotes and the most popular (by vote) breakout session in each time slot. You can watch the event live or on demand from the comfort of your own office, home, or yurt. Power suit or leisure suit, jeans or yoga pants, pajamas or guerrilla style, it’s up to you. All you really need is a connection to the Internet. We got tremendous positive feedback on our workshops last year. In fact, the only complaint/request is that we make them longer! Well, we heard you. This year we’ve got four three-hour workshops on live video, Pinterest, Facebook ads, and Instagram. If you’re responsible for any of these channels for your business, or you’re looking to add them to your marketing this year, you owe it to yourself to check out these in-depth, hands-on, limited-class-size, I’m-running-out-of-hyphenates, workshops. Check out the full rundown of the workshops here. Please note that our workshops are in-person only! There’s no live or on demand access to the workshops. 11. Our Local Focus track. Maybe it’s because we call Maine (and New England) our home, but so many attendees run or work for local businesses or serve tourists in destination locations. Because of that we’ve created an entire track with a local focus. From geofencing to Local SEO, from marketing a local business on a shoestring budget to a panel of actual local businesses who are using digital marketing to grow their website and foot traffic, every local business should attend. 12. You’ll get Joel Comm’s book, Live Video Revolution. With a foreword by Michael Stelzner of the Social Media Examiner, this is your introduction to live video. Apparently the revolution will be televised. 13. Our “Just Right” size. One thing we hear from our attendees year after year is how they love the size of AOC. It’s not too big and it’s not too small. The event is large enough that you can choose your own discovery path, but it’s intimate enough that you’ll be able to meet any attendee or presenter you’d like to chat with. I’ve gone to those conferences where you have to walk 10 city blocks in 15 minutes to get to your next session only to discover the room is overfull and they’re not letting anyone else in. This isn’t that event. Warm, open, and inviting, you’ll love our “just right” size. 14. Get two conferences for the price of one. 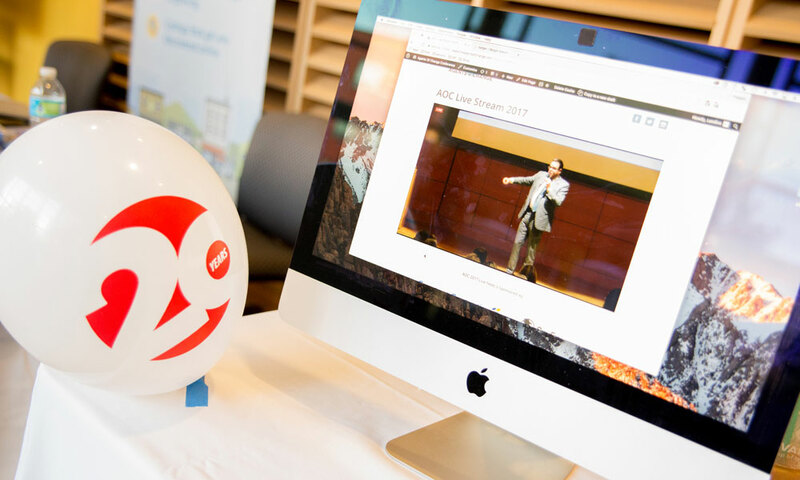 If you purchase a ticket to AOC 2018, you’ll also get all the on demand sessions from AOC 2017, including amazing presentations from Jay Baer, Gini Dietrich, and Sue B. Zimmerman! To get a sense of how awesome AOC 2017 was (and how awesome AOC 2018 will be) be sure to check out the video highlight reel from 2017. 15. Great swag and prizes. I can’t tell you what great swag we’re bringing, because I only recently got the samples and I haven’t decided myself what we’re going to include in your conference bag. However, we’re planning on having great giveaways to some lucky attendees, including two AOC branded Sea Bags! There are also free passes to the Maine Brew Bus, tickets to other local events, and other fun giveaways. 16. Maine, The Way Conferences Should Be. Maine. In September. My favorite place to be. Maybe you grew up going to camp in Maine. Or maybe you’ve always wanted to visit. The bottom line is that September is the best month to come to Maine. Warm days and cool nights, and it’s the breather between the swarm of the summer tourists and the slow driving of the fall leaf-peepers. Whether you want to go shopping at the original L.L. Bean, visit our lighthouses, bite down on a lobster roll, or visit any of our award winning restaurants, AOC gives you the perfect excuse to come visit Vacationland…and write it off as a business expense. Attend the conference on Thursday and the in-depth workshops on Friday, then stick around for the weekend. We’ve got a great block of rooms for you at the Hyatt Old Port, or choose from dozens of hotels, inns, or even an AirBnB. See that “Register Now” tab at the top of every single page? Click it. Or just register by clicking here. Decide if you’re visiting us in person or remotely. If you’re attending in person, grab a workshop or two while you’re checking out. Once you’re all registered we’ll invite you into the AOC group on Facebook where you can meet some of your fellow attendees before you even arrive!